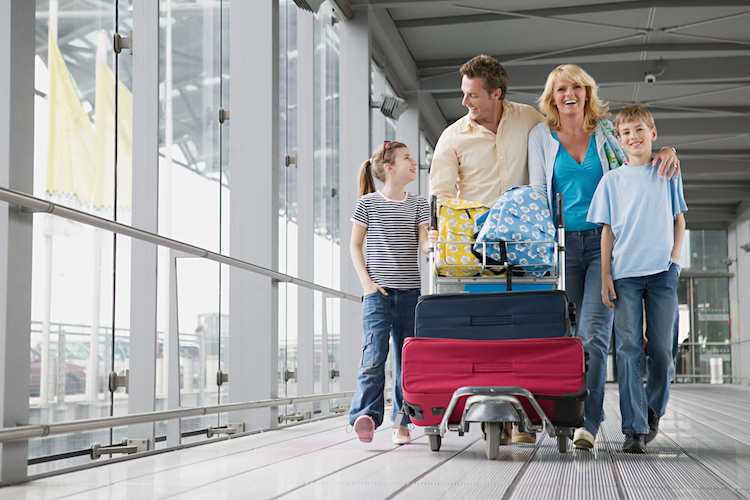 Spring break is just a month away, meaning many families will soon hit the road to enjoy some well earned down time. Identity theft is the last thing you want to worry about while you’re away on a relaxing vacation. Give yourself peace of mind by using these tips to keep your personal information safe while traveling. When booking airfare, hotels and other vacation expenses, only use reputable well-known sellers. Not only are you paying a lot of money upfront, but giving your personal information to a non-reputable merchant could put your identity at risk. Credit cards give you more protection than cash or debit cards. You can dispute charges and close the account if any fraudulent charges are made. And since a credit card isn’t directly linked to your bank account, you are at less risk of identity theft if the card is stolen or lost. Before heading out on your trip, take any non-essential cards out of your wallet. If your wallet is lost or stolen, there will be less opportunity for identity thieves. You may also have to travel with your passport or other identifying information. Don’t carry these around with you unless you have to. When you don’t need them, store them in the hotel safe. Don’t share more than necessary on your luggage tags. Only use your last name and phone number. Any additional information you provide makes it easier for identity thieves to take advantage. A stack of mail sitting outside your home is a potential target for identity thieves. Your mail may include personal information such as social security numbers, bank statements and other items you’d rather not see in the wrong hands. After you get home, review your bank and credit card activity to ensure there aren’t charges you don’t recognize. Identity theft often starts with small charges, hoping to go unnoticed before they attempt to make larger charges. To learn more about identity theft monitoring, protection counseling and restoration, contact Crime Prevention Security Systems and ask about ID Shield.